How often do we all get sudden and acute hunger pangs in the meeting of that one important meeting on which your fate depends? We say, a lot of times. So often that is it embarrassing. How many times do you get to hear things from your ‘hangry’ boss in a day? So many times that we have learned to ignore it. But how are hunger pangs and hangry bosses related? Through food! You are what you eat. And, if you do not eat well, eat right or not eat at all, you tend to be someone you are not. You would say that when leading a busy lifestyle, preparing healthy meals is possibly the last thing on your list. Cooking up some healthy dishes is doable but a little too difficult for the week days. Possible if you devote one day of your 2 day weekend to meal planning for the week, shopping and cooking. Team Daily is all about adding comfort and convenience to your life. So, we have partnered with Healthy Cuisine to bring fresh and healthy meals directly to your workplace. Not only workplace, you could enjoy them in the comfort of your home, too. Healthy Cuisine is the brain-child of Luke Bowen. He has himself experienced the lack of healthy, affordable and convenient eating options for working professionals. To fill this need, he moved into the food business with an entrepreneurial experience of 18 years. Before you begin to wonder how exactly ‘healthy’ these meals are, let us tell you that all meals are dietitian approved, are prepared by chefs, and have the right portion sizes. 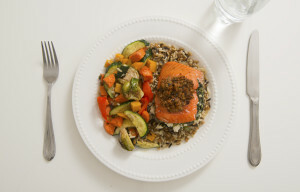 Each meal provides approximately 500 Calories, contains at least 25 grams of satiating, lean protein and about 4-5 grams of fibre, are prepared with less than 20% Daily Value of sodium as compared to some takeout or restaurant meals which could contain 100% of your sodium and made using nutritious grains. 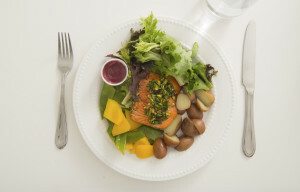 The nutritious value of the meals is taken care of by the in-house Dietician Nicole Fetterly. So, Healthy Cuisine is not just another office food service. 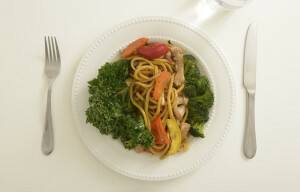 Their menu boosts a selection of 19 delicious meals for now. Don’t say, “Healthy is boring”. If it is healthy cuisine, it will please all your senses. Meals include Taco Salad, Asian Spicy Tofu & Pea shoots, Braised Lentils, Chicken Kale Caesar Wrap, Seared Turkey Breast, Herbed Roast Pork Loin Dinner, Stuffed Portobello Mushroom and more such tasty options. If you already feel like getting your hands on these super healthy and amazingly delicious meals, get onto their website HealthyCuisine.ca , place the order and get ready to mark on a healthy journey. Be careful, these Healthy meals are prepared with Love so enjoy them, you got it, with some more love.